Crossplay between PS4 and Xbox One players was briefly available in Epic Games’ Fornite, but the publisher states that this was a mistake. Reports about Fortnite PS4 players playing against Xbox One players surfaced this weekend. 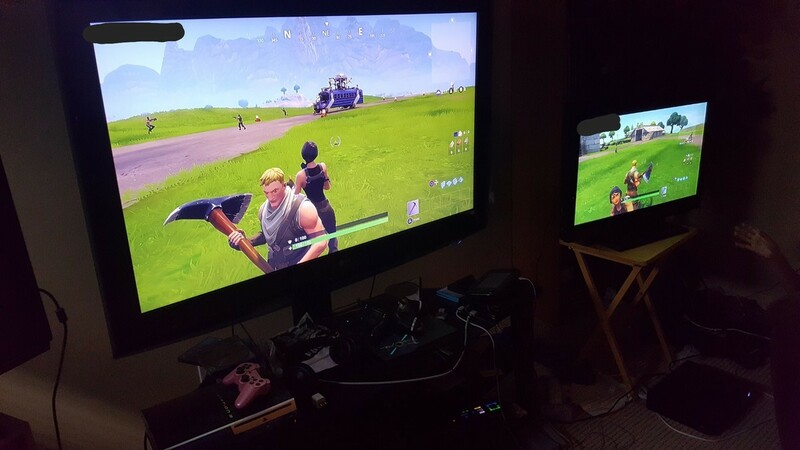 At first it seemed that it was merely a case of PC players battling PS4 players, but this was soon corrected as proof of PS4/Xbox One crossplay was posted on Reddit. As reported by the Verge, publisher Epic Games has now confirmed that the crossplay functionality between both consoles was a mistake due to a configuration error which has now been corrected. “We had a configuration issue and it has now been corrected”, an Epic spokesperson told The Verge. While Sony has been deliberately blocking crossplay between its PS4 and the Xbox One, Microsoft has been welcoming console crossplay with open arms on several occasions. Taking to Twitter following Epic Games’ fix, Xbox head Phil Spencer said that he would have liked PS4/XO crossplay to remain available. “I would have liked to see them leave it on”, he tweeted. Whether we’ll ever see PlayStation 4 and Xbox One Crossplay remains to be seen, but recent reports suggest that Microsoft has been talking to Sony about the feature. As always, we will keep you updated on this matter. Fortnite is available now for PC, Xbox One, and PlayStation 4. The game was released back in July of this year, and invites players to team up as they build massive forts and battle against hordes of monsters, all while crafting and looting within giant worlds where no two games are ever the same.